The white blue eyed Turkish Angora is just as popular. In the vernacular she is called Ankara Kedisi. She is often printed for marketing purposes, for example on stamps. White Angoras never run around in the streets being homeless! But with the color white the interest of Turkish people for their cats mostly ends . 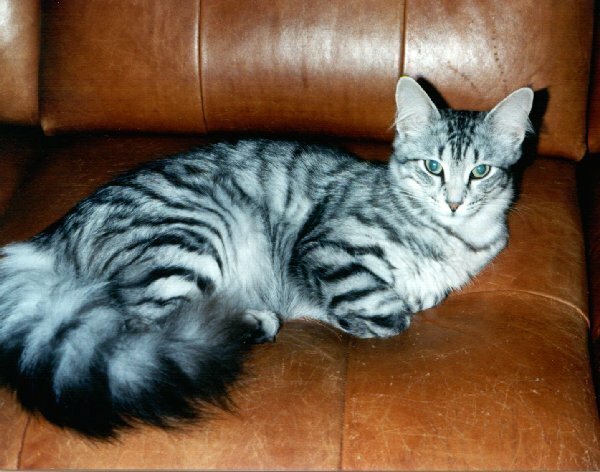 Some colored varieties still have own names, a silver tabby is a Teku, the red tabby a Sarman and a cat with van-pattern is a Kinali Kedisi. 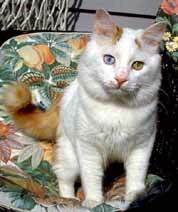 This relative of the Turkish Angora is known here as Turkish Van . A devout Moslem should respect and maintain Allah’s creatures. He should feed them, but should not accommodate them in the living space. For that reason, Turkish traders, especially carpet dealers kept white Turkish Angoras in their shops and yards. 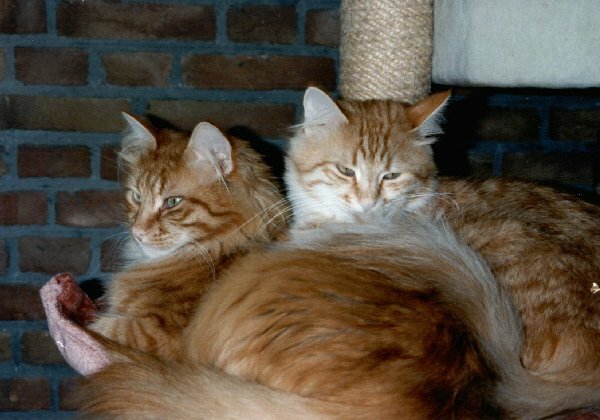 They contributed a lot to the preservation and reproduction of these cats. These relatively rich people could afford such a hobby, without contradicting their confession rules and without existential problems. That’s why this cat became something like a status symbol. 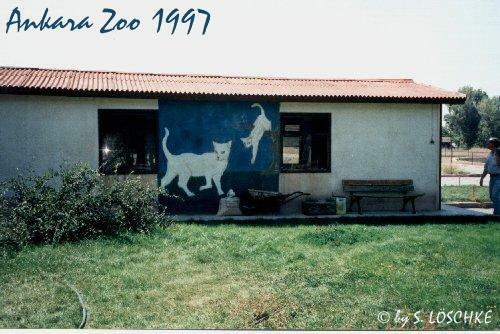 In the past it was not possible to buy a white Angora! You got them as a present and that was a great honor! Nowadays the procurement in Turkey is not a problem. For enough cash you will find someone who will find you such a cat. The Turkish Government tries to protect its National cat from this selling of by an embargo on exports. Even a Turk needs an export license, to bring his own white cat out of country. At the customs clearance one can get serious problems with such a purchase at the latest!